Far too often, homeowners fail to realize how important their gutters are before a problem occurs. Your gutters are an essential part of your property that protects your residence during any storm. Without properly functioning gutters in Southwest Chicago, water will cascade off your roof and cause a great deal of damage. At Allpro Contracting, our Southwest Chicago exterior remodeling contractors are here to help you with all your gutter related needs. Our professionals have been proudly serving the Southwest Chicago community since 1962. Throughout this time period, our team has maintained one simple goal: to maximize customer satisfaction in everything that we do. When you hire us to install, clean, or replace your gutters, our contractors will bring this dedication to excellence to task for you. Call Allpro Contracting today if you need to hire a professionally licensed exterior remodeling contractor who installs gutters in Southwest Chicago. Our courteous and polite staff would be happy to take your call and to assist you in any way that we can. Our knowledgeable experts would be glad to answer any of your questions. We can schedule your appointment today. If you do not have adequately designed and maintained gutters around your home, a number of serious problems can result. You gutters are in place to safely channel water from the surface of your roof to the ground a proper distance from your home. Without gutters, this water will cascade off the side of your roof. It can then damage your soffit, facia, siding, windows, doors, and landscaping. Even worse, standing water around the side of your home can seep into your foundation. At Allpro Contracting, our Southwest Chicago remodeling contractors are here to provide for all your gutter related needs. 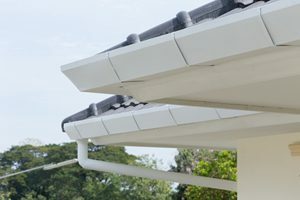 We specialize in installing high quality, seamless gutter systems for both residential and commercial property owners. Seamless gutters are a fantastic addition to any property. They will provide your home or business with the protection that you expect and deserve. Another great aspect of seamless gutters is that they are less likely to clog when compared to other traditional systems. These amazing gutters have fewer areas on which twigs and debris can snag. Therefore, they will protect your home during inclement weather for longer. You will have to clean your gutters less often. You and your family are guaranteed to be pleased with the amazing results of our efforts. If you need services related to rain gutters in Southwest Chicago, please call 708-658-3500 or complete our online request form.